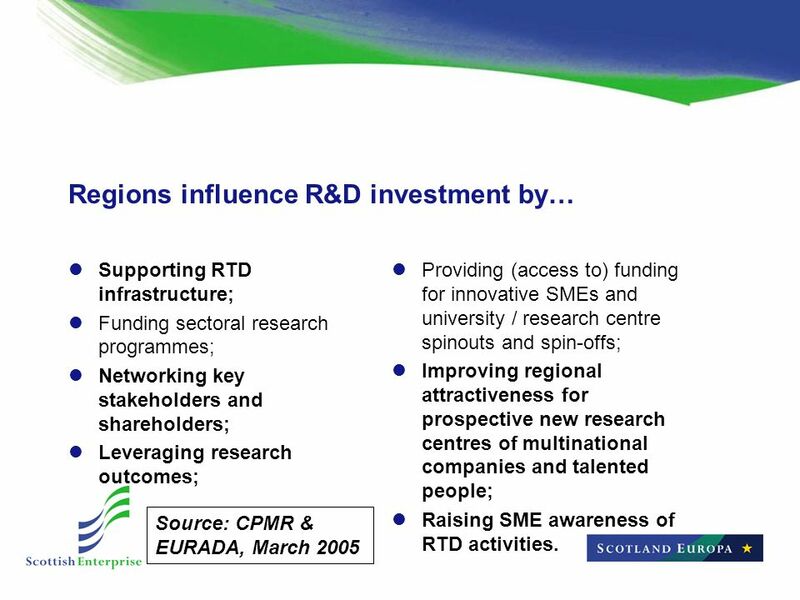 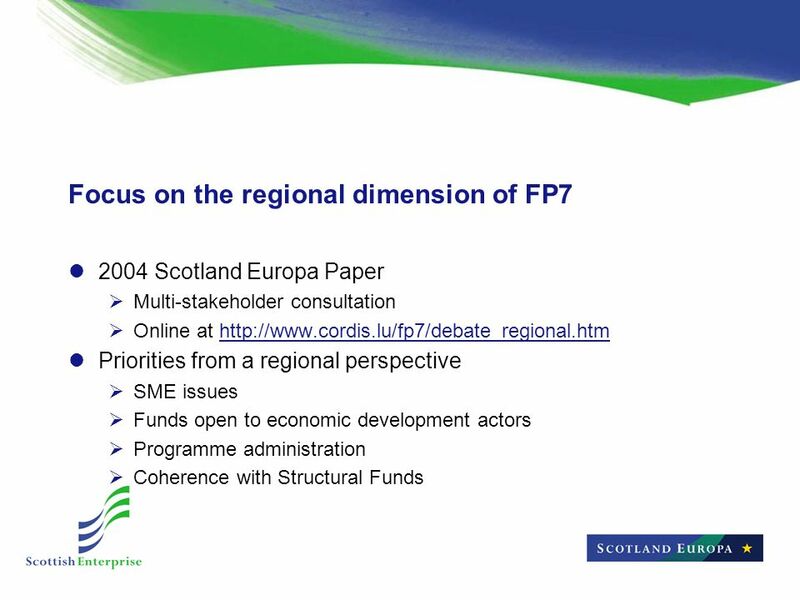 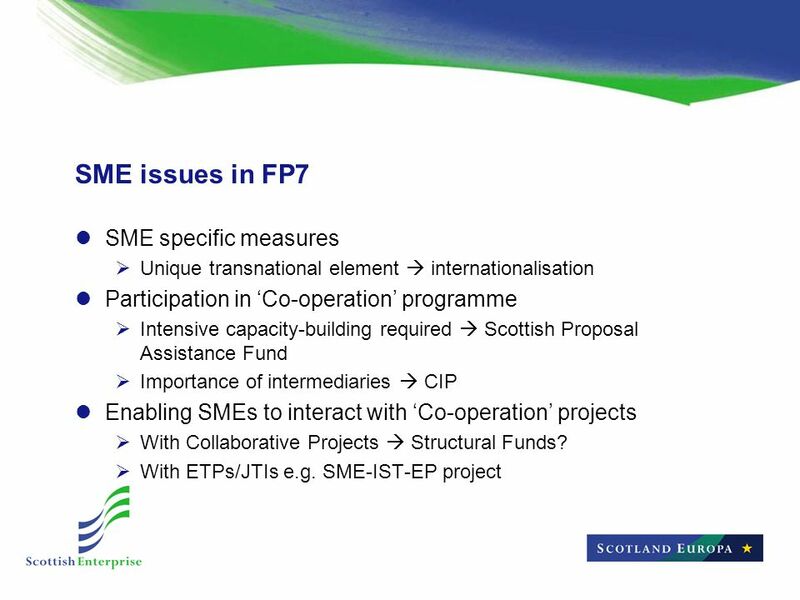 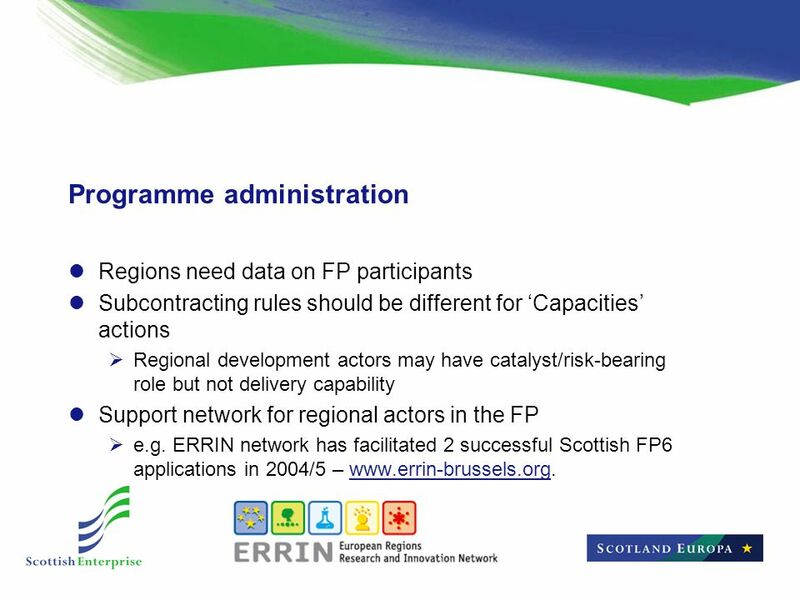 Download ppt "Does FP7 offer the right tools for promoting excellence and innovation in the Regions? 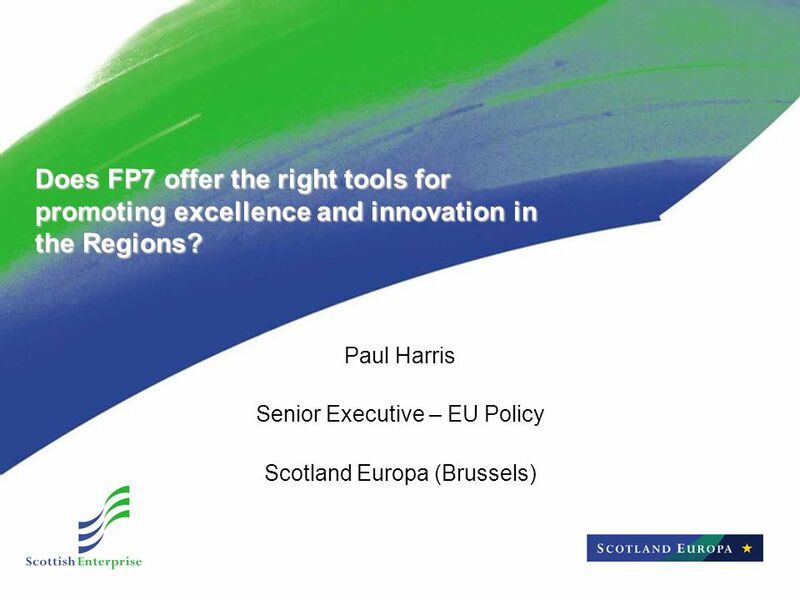 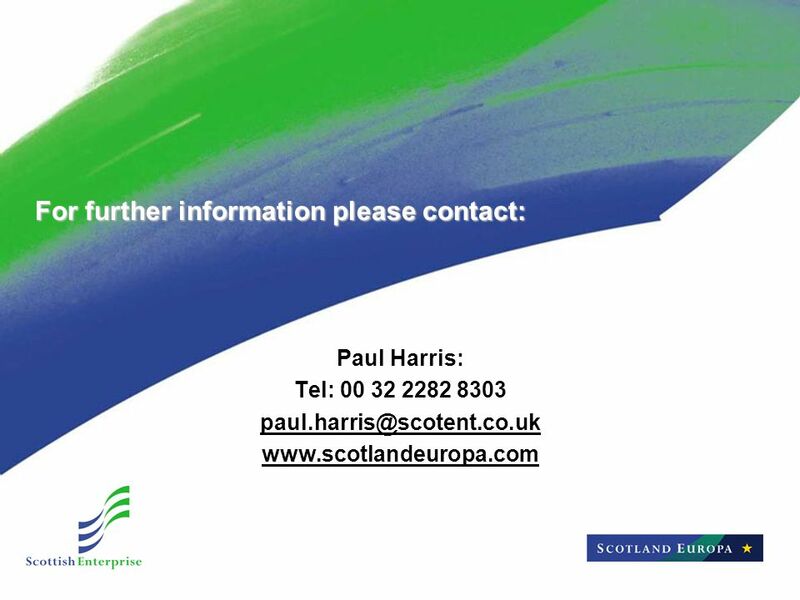 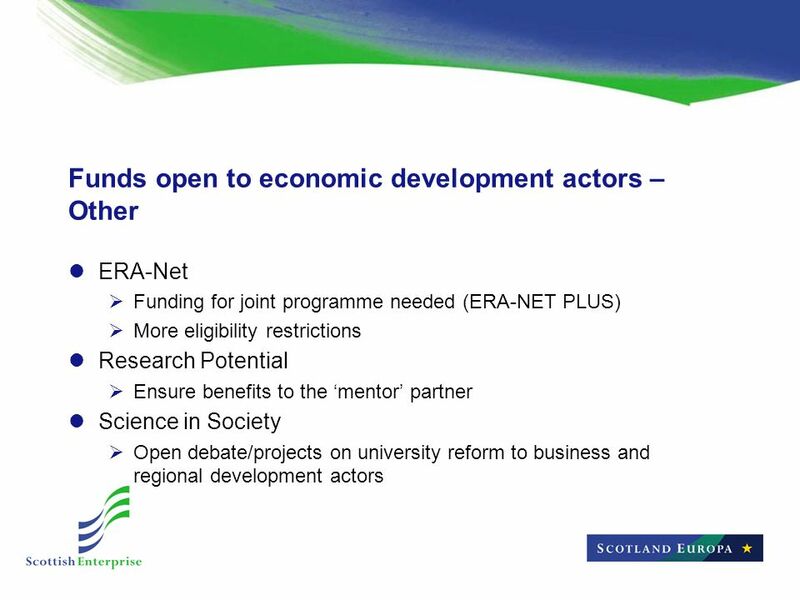 Paul Harris Senior Executive – EU Policy Scotland Europa (Brussels)"
Financing RTD and Innovation in the enlarged European Union - CONFERENCE FINANCING GROWTH AND COHESION IN THE ENLARGED EU Mr Louis BELLEMIN Head of Unit. 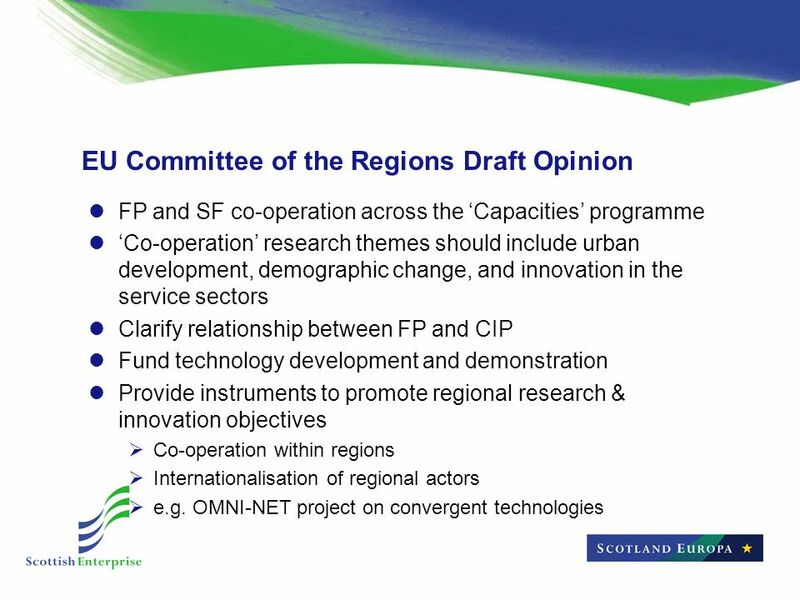 Regions as the driving forces of European competitiveness: From theory to practice Interregional Seminar and Partnership Fair Enhancing university-business.